Marcia Eubank is charged with murder in the death of her husband Howard Eubank. 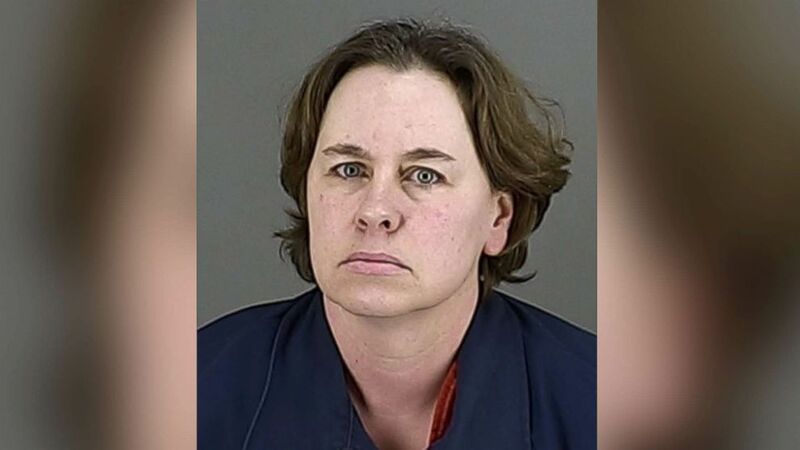 A woman has been charged with murder after her husband's dismembered remains were found inside their Ohio home, six months after he disappeared. Now one of the victim's sons is speaking out, telling ABC News his stepmother had told him his father left for Texas months ago. "We all thought it was odd and strange that he would just up and leave, but it never crossed our mind that she would actually murder him," Jonathon Eubank, a son of Howard Eubank and a stepson of Marcia Eubank, told ABC News. He added that he's in "shock" over the grisly discovery. The six-month saga came to an end on Saturday, when authorities in Summit County received a call of possible human remains. Responding deputies "found what appeared to be deteriorated remains" that were tentatively identified as 54-year-old Howard Eubank, Summit County Sheriff's Office said. The victim was shot in the head, his body dismembered and placed in storage containers, according to the probable cause affidavit. Howard Eubank's wife, Marcia Eubank, 49, was taken into custody Saturday and charged with one count of murder, the sheriff's office said. (Summit County Sheriff's Office) Marcia Eubank, 49, was taken into custody on Dec. 9, 2017, and charged with the murder of her husband, Howard Eubank. According to the probable cause affidavit, Marcia Eubank was interviewed and "admitted to killing her husband in June 2017. Marcia Eubank admitted to shooting her husband in the head and dismembering his body." Jonathon Eubank, a son of Howard Eubank and a stepson of Marcia Eubank, told ABC News today that for all these months he thought his dad had left home for Texas -- a story he said came from his stepmother. He said he last heard his dad's voice on the phone in May. (Obtained by ABC News) Howard Eubank, front, poses for a photo with his sons in this undated family photo. Eubanks was killed by his wife, Marcia Eubank, who lived with his dismembered body in their Ohio home for several months before being discovered. "We were talking about him coming to my wedding and how excited he was to come and how proud of me he was," said Jonathon Eubank, 27. "And then in the middle of June, we get a message saying that he left my stepmom and went to Texas." "My oldest brother got a text message from my dad off his phone saying he's in Texas and he's fine," he said. "And then about a month or so later he posted something on Facebook, my dad did, saying he'll reach out to people when he's ready. ... Clearly, that wasn't him doing any of that stuff. "... Periodically there would be posts on his Facebook -- one was to Marcia saying he had missed her," Jonathon Eubank said. "That was one of the last Facebook posts that we had seen from his account." The months ticked by, and in August, Jonathon Eubank got married -- but the happy occasion left him feeling angry, upset and resentful toward his father, who didn't show up. "I don't know how you can up and just leave your kids' lives and miss probably one of the most important days of my life," he said. "We all thought it was odd and strange that he would just up and leave ... but it never crossed our mind that she would actually murder him." In October, Jonathon Eubank, who lives out of state, went to his stepmother's Ohio home. He said he and his wife both hugged his stepmother, who he said acted "normally." 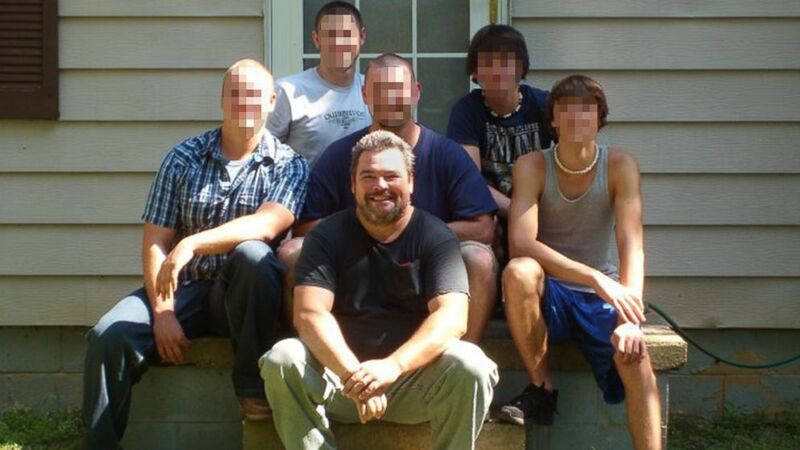 "We had no idea that my dad was 20, 30 feet away from us," he said. He said this Saturday he was coming out of church when one of his brothers told him that he found his father's remains at the home. Now with his stepmother in custody, he said he feels "angry and numb -- still in shock"
He said his father and stepmother had been married for over 20 years. "None of us know why," she allegedly killed her husband, he said. "None of us know why she chose to say he went to Texas. "Playing this whole past six months through my head is just, it's difficult." Marcia Eubank's attorney, Brian Pierce, told ABC News this morning that his client was expected to enter a plea of not guilty at her 1 p.m. court appearance today. She is being held in the Summit County jail on a $1 million bond, Pierce said. He declined to comment further.